With a goal of Enriching Lives Through the Power of Music, Golden Gate Philharmonic contributes to the success of each student’s future endeavors. We help them develop skills that serve them well in pursuing their own goals and dreams. Whether our students pursue a career in music, continue their support of the Arts or go on to unrelated pursuits, the discipline, work ethic and sense of esprit de corp they learn through GGP enhances their accomplishments. We are proud to present the GGP Alumni Hall of Fame that recognizes past students who have contributed to our program in significant ways and have continued to work hard to accomplish their dreams, contribute to the community, and serve as inspirations and role models to our current student body. Congratulations 2018 GGP Hall of Fame Recipients Rodrigo Ehecatl Durán and Christina Wong! Rodrigo Ehecatl Durán was part of our GGP community from 2001 through 2007 as a violist and member of the chamber music group, Strings Attached. We fondly recall his ready smile and friendly disposition, and entire family’s participation, including his two younger siblings and Mom Susana (and Susana’s wonderful salsa!). Rodrigo’s favorite memories of GGP are the fun and camaraderie with all the musicians and parents at our fall music retreat in the Redwoods. Rodrigo is now works in the nonprofit world as a community organizer, networking aficionado, and fervent advocate for Latino arts and culture. A San Francisco native and committed public servant, since 2013 he has been the Grand Parade & Promotions Director of Carnaval, San Francisco, one of the nation’s largest multicultural events spanning two days in the city’s Mission District. Rodrigo also currently sits on the Community Council for Calle 24, a nonprofit organization whose mission is to preserve, enhance, and advocate for Latino cultural vitality in San Francisco’s touchstone Latino Cultural District and the greater Mission neighborhood. While Rodrigo has retired his viola, he continues his love of the arts with his passion for Latin American culture, arts and music, and travels across the region, including a one-year exchange program in 2010 at the Pontifical Catholic University (PUC) of Rio de Janeiro, Brazil. He is trilingual in English, Spanish and Portuguese, and hopes to learn a fourth language soon. Rodrigo holds a Bachelor of Arts degree from UC San Diego in Communications, and a Master’s Degree in Public Administration from San Francisco State University. Violist Christina Wong has been affiliated with GGP since its inception, first as a student, then as faculty starting in 2012. Having grown up in San Francisco, she attended School of the Arts in San Francisco (SOTA), was a member of the San Francisco Symphony Youth Orchestra from 2000-2005, and graduated from San Francisco Conservatory of Music’s Pre-College Division. After receiving her Bachelor of Music from The Juilliard School and a Master’s of Music from the Cleveland Institute of Music, Ms. Wong became a member of the Erie Philharmonic and Canton, Akron and Youngstown Symphonies, and was a guest artist with the MasterWorks Festival (Grace College, IN), and Coda Mountain Music Academy (Fayetteville, WV). She has traveled around the world aboard the Holland America Cruise Line as a member of the Adagio String Quartet. 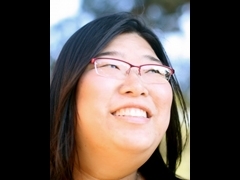 Since returning to the Bay Area, in addition to being on our faculty at GGP, Ms. Wong has worked with many of the Bay Area’s El Sistema-inspired programs, including Harmony Project SF, and Enriching Lives through Music: ELM. In high demand as a clinician and performer, she is currently a Lead Teaching Artist with ELM and also maintains a private studio in San Francisco. Ms. Wong is deeply grateful to Joan Murray and the GGP community for decades (!) of musical memories, knowledge and lasting friendships. Omid was a well-loved member of GGP from 2001-2005. He learned violin in his native country Iran and joined GGP as a violinist and then moved to viola. During his tenure, Omid performed in multiple chamber groups and played regularly at the hotel gigs. He served as Concertmaster and was a featured soloist. Omid holds a B.M. and M.M. from San Francisco Conservatory of Music where he studied with Jodi Levitz and Bettina Mussumeli. Omid is an active ensemble player and soloist; he has concertized with many of the Bay Area’s orchestras and has appeared numerous times as soloist with City College of San Francisco String Orchestra, Kensington Symphony Orchestra, and Villa Sinfonia. His love for chamber music has led him to study with world-renowned artists such as Jodi Levitz, Catherine Van Hoesen, Bettina Mussumeli, Ian Swensen, Mark Sokol, John Sherba, Hank Dott, and Axel Strauss. Omid has collaborated with Jennifer Culp, Jodi Levitz, Jorja Fleezanis, the Shams Ensemble, and the Rimsky Korsakov String Quartet. As a touring artist, Omid performs internationally including at such prestigious venues as Carnegie Hall, Kennedy Center, Library of Congress, Davies Symphony Hall, San Francisco War Memorial Herbst Theater and Legion of Honor. An educator, teaching over 30 students, Omid has served as faculty member and Artist-in-Residence with Golden Gate Philharmonic, Villa Sinfonia Foundation, Zephyr Cove Chamber Music Camp, City College of San Francisco, and Notre Dame des Victoires. His students can be found performing with reputable youth ensembles such as San Francisco Youth Orchestra, Peninsula Youth Orchestra, and San Jose Youth Symphony. Omid was the founding member of the Bay Area-based Circadian String Quartet. He began CSQ in 2013 to promote the classical and contemporary string quartet repertoire, with focus on music of cultural and folkloric significance. The group has been featured through Mt. Shasta’s Music by the Mountain, SunsetArts Chamber Music Series in San Francisco, and the Merced Symphony Association. In 2014, the CSQ were invited to collaborate with the St. Petersburg-based Rimsky Korsakov String Quartet during their North American tour. They have performed U.S. premieres of pieces by world-renowned British composer Ian Venables in collaboration with mezzo-soprano Sally Munro of the San Francisco Opera and Natalie Parker, Principal Clarinetist of the San Francisco Ballet. Matthew Cmiel came to be part of GGP in an unusual fashion. Matthew’s older brother was a charter member of GGP playing Bass with the orchestra while Matt was fascinated with all he took in wandering the halls. It wasn’t long before Joan discovered that Matthew was a guitarist and composer and got him involved performing with our chamber music program on guitar with various quartets. GGP is proud to induct Matthew Cmiel into our GGP Hall of Fame. We are delighted to see his progression as an educator, composer, conductor, guitarist and enthusiastic advocate of new music and young performers. He is the director of the John Adams Young Composers program, the founder and co-director of the new music ensemble After Everything and was a founder and co-director of the San Francisco Conservatory’s Hot Air Music Festival, and Formerly Known As Classical, a new music ensemble entirely made up of and run by teenagers. He also served as Director of Orchestras at the Ruth Asawa San Francisco School of the Arts. Matthew has been a featured composer at the Cabrillo Festival of Contemporary Music, composer-in-residence at the Banff Centre, and guest composer on the national public radio program From the Top. His compositions have been performed by The Berkeley Symphony, Marin Alsop and the Cabrillo Festival of Contemporary Music, Composers Inc., the Del Sol String Quartet, The Mobius Trio, the Marin Symphony Youth Orchestra, the Palo Alto Chamber Orchestra and the San Francisco Saxophone Quartet. His compositions have won prizes from ASCAP, the Baltimore Classical Guitar Society, the National Federation of Music Clubs, the National Foundation for Advancement in the Arts, the Pacific Musical Society and the Palo Alto Chamber Orchestra and he was nominated for the Presidential Scholars in the Arts Award administered by the U.S. Department of Education. Matthew is an accomplished guitarist, winning prizes for his playing from the American String Teachers Association and Downbeat Magazine. Downbeat magazine also awarded him a special award for his work founding and organizing Formerly Known As Classical, a new music ensemble made up entirely of and organized completely by teens. They specialized in performing music written in their own lifetime, creating what they believe to be new classics as well as advocating for younger people. 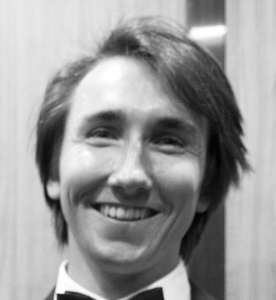 As a conductor, Matthew has worked extensively with Marin Alsop, Gustav Meier, and Edwin Outwater. 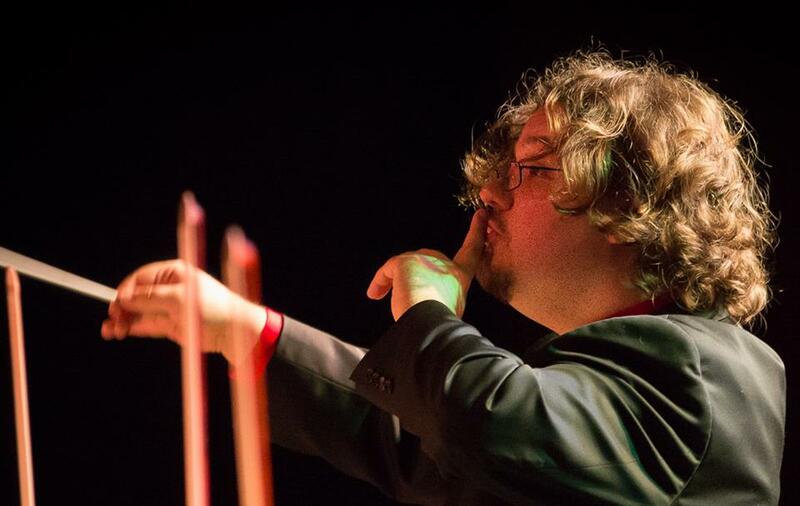 He has worked with and conducted numerous ensembles and youth groups, including The Cabrillo Festival Symphony Orchestra, The San Francisco Conservatory Chamber Orchestra, The San Francisco Symphony Preparatory Division Chamber Orchestra, The Hot Air Festival Orchestra, and the San Francisco School of the Arts Orchestra. Matthew is a graduate of the Curtis Institute of Music, the San Francisco Conservatory of Music, Ruth Asawa School of the Arts San Francisco, and the Crowden School. His primary teachers have been: John Adams, Alexis Alrich, Dan Becker, Scott Cmiel, Jennifer Higdon, Otto Werner Mueller, Edwin Outwater, Belinda Reynolds, David Tanenbaum and Benjamin Verdery. He has worked extensively with Marin Alsop, Antigoni Goni, David Lang, and Gustav Meier. 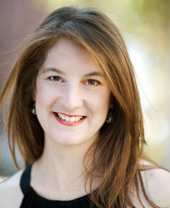 Lisa Bielawa’s music is frequently performed throughout the US, and in France, Italy, the UK, and Finland. Recent highlights include a Radio France commission for Ensemble Variances – the new 15-minute work was performed in Paris, Rouen, and Metz as part of a program called Cri Selon Cri or “Cry by Cry” which explores the idea that the cry as a primary sound shared by all cultures of the world. In addition, Bielawa composed a piece for the 50-member Finnish male choir Akademiska Sångföreningen on a text from Shakespeare’s Antony and Cleopatra. Both works featured Bielawa as the vocal soloist. Other recent highlights include the world premieres of Rondolette by the string quartet Brooklyn Rider and pianist Bruce Levingston; Double Duet by the Washington Saxophone Quartet (with subsequent performances by the Prism Saxophone Quartet); Graffiti dell’amante by Bielawa with the Chicago Chamber Musicians in Chicago and with Brooklyn Rider in New York, Harrisburg, and Rome; The Project of Collecting Clouds at Town Hall in Seattle by cellist Joshua Roman and chamber ensemble; Double Violin Concerto and In medias res by the Boston Modern Orchestra Project; The Right Weather by American Composers Orchestra and pianist Andrew Armstrong at Carnegie Hall; and The Lay of the Love and Death at Lincoln Center’s Alice Tully Hall. Bielawa’s work Chance Encounter, a project of Creative Capital, was premiered by soprano Susan Narucki and The Knights in Lower Manhattan’s Seward Park and performed in Rome, Vancouver, Venice, and at the Whitney Museum. Her music can be heard on the Tzadik, Orange Mountain Music, innova, Sono Luminus, and BMOP/sound labels. Bielawa’s most recent project Airfield Broadcasts is a 60-minute work for hundreds of musicians that was premiered on the tarmac of the former Tempelhof Airport in Berlin in May 2013 and at Crissy Field in San Francisco in October 2013. All of us at Golden Gate Philharmonic appreciate that upon Lisa’s return to San Francisco, she immediately reached out to include us, her alma mater, in Crissy Broadcast to give our young musicians an inspiring and interesting role in her work. 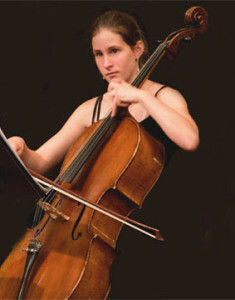 Maggie began cello at age 9; the same year she joined GGP Cadet Orchestra. While unusual for a Cadet-level student to form a chamber group, she and three fellow cadets formed the Voices of Spring, which became a GGP favorite for ten years. She worked her way through all levels of GGP, serving for two years as Co-Principal Cellist of the Camerata. Staying with GGP through high school, she returned to support the cello section of the Camerata while attending college locally. Because of her love of music and of the GGP community, she has found time to perform duets with other GGP students and is currently a member of the Melodia String Quartet. She continues to contribute to GGP’s community outreach through frequent performances at local hotels. She has also served as a volunteer music faculty member at the KIPP School in San Francisco. Maggie is a graduate of the Ruth Asawa San Francisco School of the Arts and distinguished herself by winning the Senior Concerto Competition in 2010. Maggie has performed as a soloist with the SOTA and GGP Camerata Orchestras; she has performed in the Junior Bach Festival in San Francisco and the Yehudi Menuhin Chamber Music Festival and Master Class at San Francisco State University. Maggie currently attends San Francisco City College and is a member of the Kensington Symphony Orchestra in Berkeley, CA. Erik was in second grade when he joined GGP in February of 1997 and remained with us throughout high school, class of 2007—even after he was accepted to the San Francisco Symphony Youth Orchestra in 2003. This level of commitment is impressive and shows the tremendous character and commitment that Erik brings to all he does. As one of our most talented violinists, and older sibling of 3 other GGP students, he took his responsibility as a role model very seriously. He inspired an entire generation of young players who looked to him as an example of what hard work can do. In May of his first year with GGP, The Presto International Chamber Group was formed, and their first public performance was for the Mayor of San Francisco in the fall of 1997. An excellent sight reader, Erik jumped in to save many a quartet at various performances. Erik joined the American Youth Symphony in 2006 and he is a graduate of University of California at Berkeley. In a great example of his stamina, he graduated, got married and performed Shostakovich in a GGP recital all on same day in May 2011!